O Lord and Master of my life, the spirit of humble-mindedness bestow upon me Thy servant, for blessed art Thou unto the ages of ages. Amen. 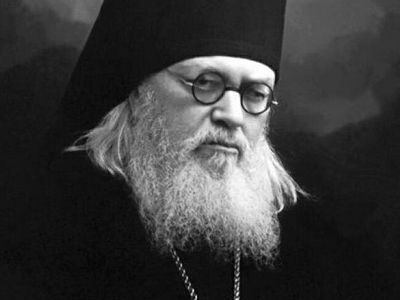 Dear brothers and sister, at the beginning of Great Lent, when we were just stepping upon the first of the holy Forty Days, the Church offered us instruction so that having fasted bodily, we would also fast spiritually. The Church showed us that a true fast that is pleasing to God is the estrangement of evils, restraint of the tongue, banishment of lusts, and dearth of lies and false witness. Thus, if having abstained from foods and drinks we do not abstain at the same time from anger, envy, hatred, ill-wishing, and condemnation, and then not having eaten bread we devour our neighbor, we build with one hand and destroy with the other. Therefore the holy Church offered us from the very beginning the profound prayer of St. Ephraim the Syrian, which by its penitent and humble spirit stirred in us the longing to acquire the virtues and to turn away from the vices. In the sixth request of this prayer, St. Ephraim asks God to give him the spirit of humble-mindedness: O Lord and Master of my life, a spirit of humble-minded bestow upon my Thy servant. In what does humble-mindedness [humility of wisdom] consist? Humble-mindedness is that state of soul in which it, having recognized all its weakness and impurity, is far from all high opinion of itself; it constantly tries to develop the good in itself and uproot the evil but never considers that it has attained perfection, expecting it to come from God’s grace and not from its own efforts. Words failed for holy fathers and teachers of the Church to praise this virtue. “God rests in the souls of the humble,” they would say. Neither asceticism, nor vigils, nor any other labor will save us if there is no true humility in those things. However, despite the high dignity and significance of this virtue, there is very little Christian humility in us. The spirit of open or concealed pride and vainglory possesses us, so that nearly every one of us thinks very much and highly of himself and very little and lowly of others. Even those who by virtue of their very position should be humbling themselves do not want to humble themselves before their elders, but each exalts and praises himself, and doesn’t wish to lower and humble himself. “Am I worse than others? !” is what we usually say. Placing ourselves very high and desiring primacy over others, almost no one thinks about the need to humbly serve each and all. Exalting and praising ourselves while denigrating and disdaining our neighbors, will we ever deign to serve them humbly? For this reason, in families and in society, instead of love, harmony, and mutual service there reigns mutual intransigence, mutual ill-wishing, envy, hatred one for another, arguments, conflicts, and strife. But the virtue of humility has been almost entirely forgotten by everyone. Meanwhile this virtue is the most beloved one of God. The Lord testifies to this: To this man will I look, even to him that is poor and of a contrite spirit, and trembleth at my word (Is. 66:2). Humility of wisdom, says St. Simeon the New Theologian, consists in obedience, patience, recognizing human weakness, thankfulness to God for everything—for both glory and dishonor, health and illness, wealth and poverty. St. Ephraim the Syrian points out yet more signs of true humility. Pertaining to this are: judging, humiliating or slandering no one, speaking quietly, calmly and rarely, not displaying oneself beyond measure, never arguing with anyone—not about faith, nor anything else—but if someone speaks well, saying to him, “Yes”, but if badly, replying “You yourself know it”; being in submission and disdaining one’s own will, never talking idly nor emptily, not lying, not contradicting one’s superiors, joyfully enduring offenses and humiliation, loving labor, never upsetting anyone or wounding their conscience. The foundation of humility and humility of wisdom is in self-abasement for Christ’s sake, in denying oneself, one’s pride and self-aggrandizement. Yea, all of you be subject one to another, says the holy apostle Peter, and be clothed with humility: for God resisteth the proud, and giveth grace to the humble (1 Pet. 5:5–6). But how hard it is to submit to one another and to others who are superior to you! We all openly or secretly consider ourselves higher than our neighbor, and it seems that there is nothing more impossible for us than to sincerely, from the depths of our souls admit ourselves to be worse, more sinful, weaker, more insignificant and guilty than all other people. Even if we are sometimes ready to admit this in words, then it is insincere, deceitful, and prideful—for in our souls we are still of same opinion that if we are not better, then in any case we are any not worse than others. For our pride to admit that we are worse and more insignificant than others means committing suicide. Therefore it does not allow us to tell the truth about ourselves. It continually keeps us in our self-delusion, forcing us to give our qualities a higher mark. Who of us can say with all our hearts these words: “I am nothing; I am the worst, the least of all”? Very few, although one may be the worst criminal. And this means that humility, humility of wisdom is as far from us as the earth is from the heavens. If we wish to be true Christians, then we should try with all our strength to rouse in ourselves the spirit of Christian humility and the striving to serve others. In order for us to love humility and not think that it can degrade us but to the contrary, understand that it serves for our exaltation, we should always remember that pride is hateful to both the Lord and our neighbor, while humility attracts the good will of both God and man, and the Lord has forthrightly promised a reward for it. Whoever thinks highly of himself, places himself above others, is proud, takes care of himself but neglects others is small, low, and loathsome before God. For that which is highly esteemed among men, the Word of God tells us, is abomination in the sight of God. For whosoever exalteth himself shall be abased; and he that humbleth himself shall be exalted (Lk. 16:15; 14:11). On the contrary, whoever has humility and humbly serves others will be exalted by God and honored by men. Blessed, says St. Isaac the Syrian, is he who humbles himself in everything, because he will be exalted. Therefore disparage yourself in everything before all people, be the first to greet anyone with a bow, and you will be honored. Lower yourself for God’s sake and you will not recognize how your glory will multiply. Consider yourself a sinner all your life, so that you might be justified all your life. Be ignorant in your wisdom, and do not appear wise, being ignorant. Be, according to the Savior’s teaching, a servant and slave for the good of all your neighbors and you will reach perfection and superiority. 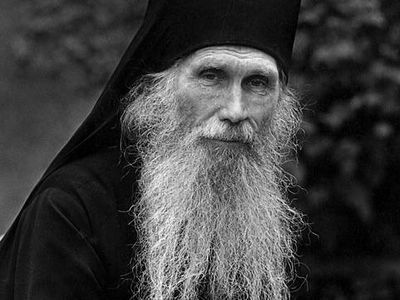 With the aim of arousing humility in ourselves we should always keep in mind that without humility, all our virtues and all our ascetic labors cannot have any true value before God. 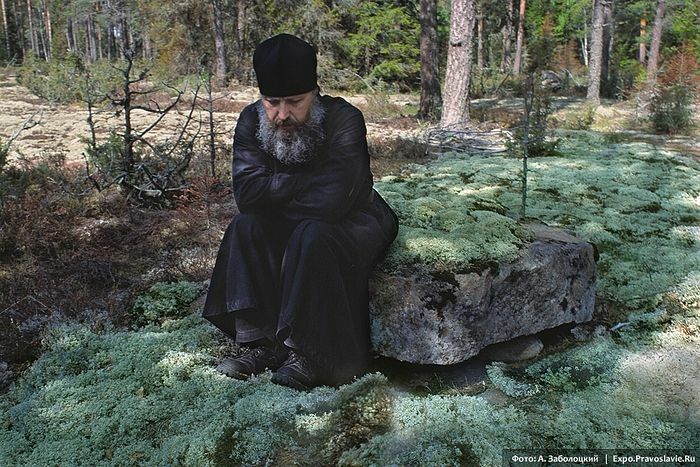 Without humility, writes St. Tikhon of Zadonsk, prayer is not beneficial. Without humility there can be no true repentance; but pretended and false is that which is only on the lips and not in the heart. Without humility, St. Isaac confirms, all our works, virtues, and activities are in vain. So, in order to encourage in ourselves the spirit of humility and the striving to serve others we should more often behold the example of our Lord Jesus Christ. “The Son of God humbled Himself for your sake. Should you then be proud?” exclaims St. Tikhon of Zadonsk. “The Son of God washed the feet of His disciples, and you are ashamed to serve your brothers?” The Son of man came not to be ministered unto, but to minister and to give his life a ransom for many (Matt. 20:28). Should we then be thinking highly of ourselves and abasing others? Shouldn’t we labor and bring sacrifices for the good of others? All good Christians found a most powerful motivation in the lofty example of their Lord to humble themselves before God and men, and they always mutually yielded to each other and served each other. Thus, for example, the great and holy man, St. Macarius of Egypt, did not disdain one day to walk from the desert to Alexandria just to bring some comfort to a sick anchorite who lived in the desert—to purchase and bring him a certain food that the sick man desired. All truly great and truly holy people strove to serve their neighbors in similar ways. Wednesday of the sixth week. In reading this explanation of this prayer, repeated many times at every service during Great Lent, may we discover new meaning and inspiration for our Lenten struggle.